To customers who only require the hardware for payment solutions, we will provide EDCPOS Terminal installation and maintenance services. 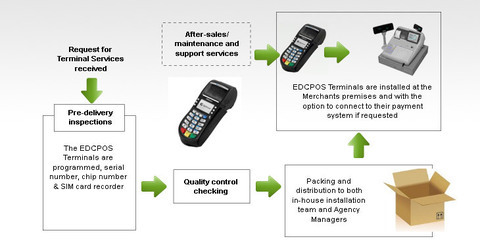 Our EDCPOS Terminals (front-end) interact with network programmes and software&apos;s (at the back-end) in the electronic payment network structure. 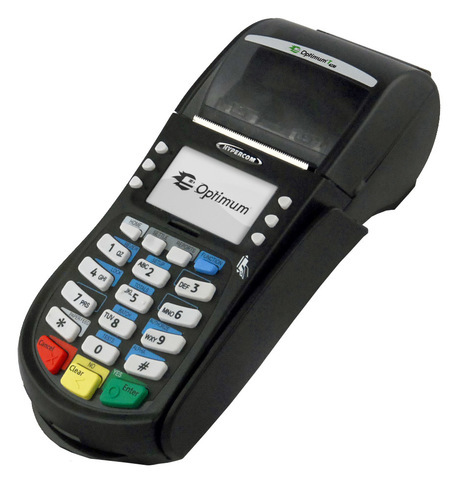 The EDCPOS Terminals read or acquire information from chip-based Credit/Debit/Charge Cards, which are verified against a card issuing system. 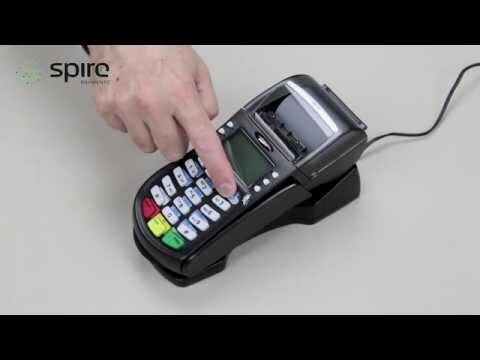 First, we receive a request for EDCPOS Terminal installation from the Financial Institutions. Next, our customer service team performs internal preparations and final quality checks on the EDCPOS Terminals. 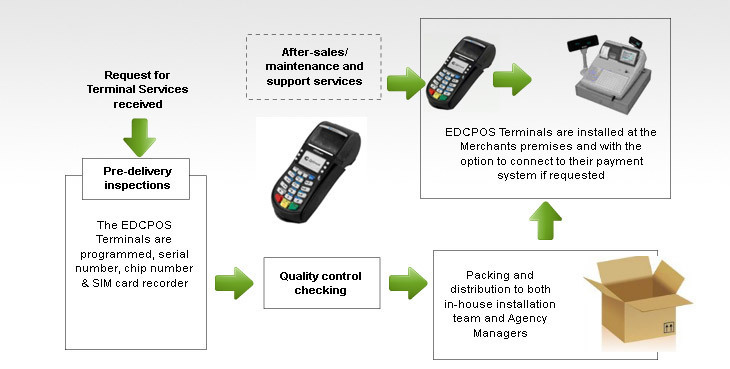 If satisfactory, the EDCPOS Terminals are installed at the Merchants&apos; outlet(s) and user acceptance test would be carried out together with on-site user training. Following which, we provide after sales maintenance and support services. The installation process for our Terminal Services is illustrated in the diagram below. Merchant Service provided by ManagePay Systems Berhad. Kindly contact our admin @ 010-268 7826 for further documentations.